In regards to the rising of toll rates, Housing and Local Government Minister Datuk Abdul Rahman Dahlan has offered some suggestions on what should motorists do in order to avoid paying tolls. The Kota Belud MP suggested motorists to wake up earlier to avoid traffic congestion, at the same time the motorists could always look for toll-free roads so that they are able to keep their expenses low without paying for tolls. According to The Rakyat Post, the advice was said in a joking manner. However his remark has received mix comments on social media, and eventually the hashtag #MPKotaBeludAdvice was created and started trending on Twitter. Most netizens are angry, some actually agreed with Rahman Dahlan’s advice, but of course being Malaysians, we are best at dealing with such statements with sarcasm. There is a saying that goes, “A friend in need, is a friend indeed.” Twitter user @bongkersz intends to put that saying to good use. Most of the tweets, were directed at staying close to your workplace so that travelling distance could be minimised. So if tol are too expensive, we can follow #MPKotaBeludAdvice. We should get our own tent and stay overnight in the city. 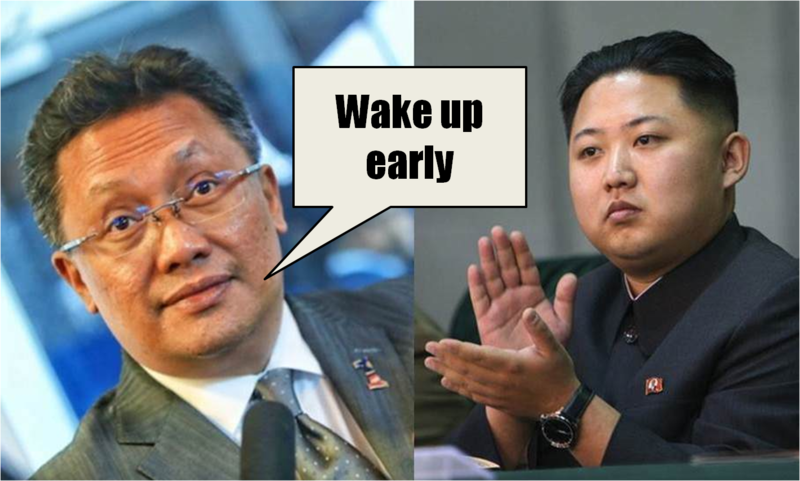 Some art enthusiasts decided to draw out Rahman Dahlan’s remark. As they say, a picture is worth a thousand words. Then there are some Twitter users who are suggesting different forms of transportation. "@smellykatemoss: nah.. no toll but bukan #MPKotaBeludAdvice pic.twitter.com/7Dury9QT19"
To sum this up, we had to include Emmanuel Joseph’s Facebook post on the hashtag because we appreciate creativity and good humour. Jokes and sarcasm aside, this netizen actually shared the pain and burden that most Malaysians are facing ever since the toll hikes, as well as pointed out how illogical the suggestion is.